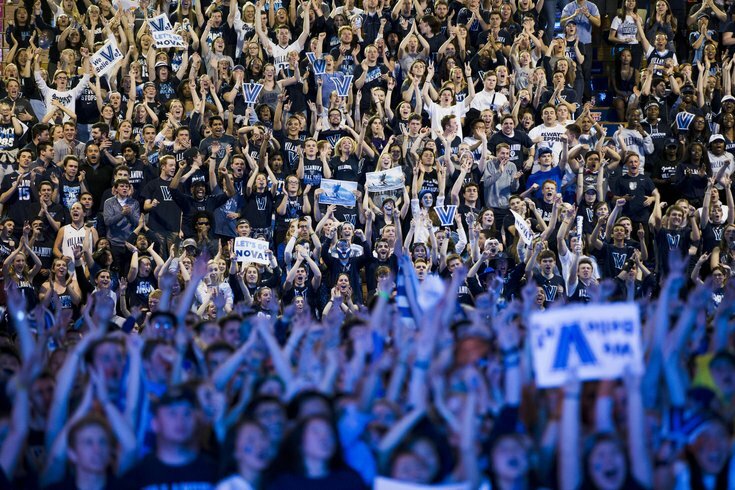 Villanova fans celebrate watching their team win the National Championship. The Villanova Wildcats are 2016 National Champions after beating North Carolina, 77-74, on Monday night. Holding a three-point lead late in the game, Marcus page hit a ridiculous three pointer to tie the game at 74-74. His only mistake was leaving some time on the clock. Ryan Arcidiacono brought the ball up the court and dished it to Kris Jenkins, who hit the game winning three-pointer to give Villanova a 77-74 win in Houston.